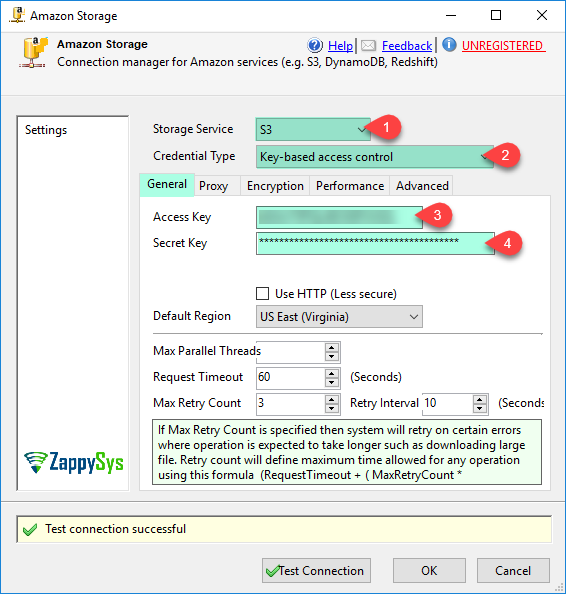 SSIS Amazon S3 CSV File Destination Connector can be used to write data in CSV file format to Amazon S3 Storage (i.e. AWS S3 Service). 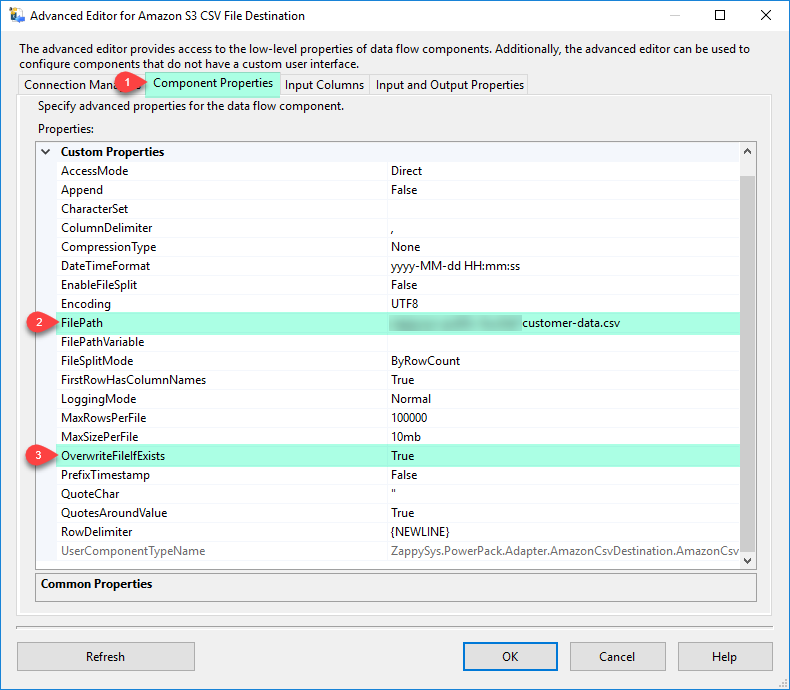 SSIS Amazon S3 CSV File Destination Connector can be used to write data in CSV file format to Amazon S3 Storage (i.e. AWS S3 Service). You can automatically split large files by row count or size at runtime. It also supports writing files directly in compressed format such as GZip (*.gz)..
Support for creating CSV files directly in Amazon S3 from any source (e.g. SQL Server, Oracle, MySQL) without creating local files.